If you are a small business it's often easy to try and simply rely on social media sites like Facebook or Yelp to connect with your customers. The problem with this model is that you have little to no control about the branding message that your are trying to convey to your customers. Your company information is surrounded by ads, ratings, comments and colors that are not your own and even worse these sites provide users with related companies that drive traffic away from your product or service. The solution is simple: build a single page website that controls your message to customers and visually recreates the experience of shopping in your store. Social media is a powerful tool that can be used to create visibility and connect directly with customers, but relying on it to express your company's unique personality is impossible as everyone gets the same boring page. Instead these social media sites should be used to drive customers to a controlled environment where you can surround them with imagery and colors that support the experience of shopping at your establishment. This is where a well executed single page web design can truly shine. A recent client of ours saw the necessity for a single page site and contacted Skuba to build their online brand. 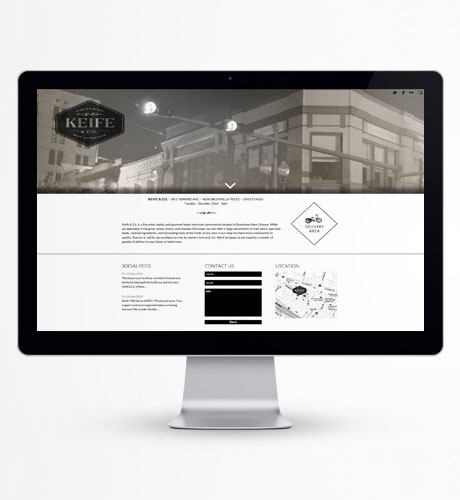 Keife & Co is a recently launched New Orleans fine wine and spirits shop that also serves gourmet meats and cheeses. With a growing following on Facebook anticipating the opening of the shop, they realized that it was time to create a place that these potential customers could go to get out of the Facebook environment and get a glimpse into the shopping experience at their soon to open location. We at Skuba immediately knew that the elegance of the newly renovated wine shop needed to be prominently displayed. Using a fullscreen photograph that was carefully colored and tinted we were able to create a mood that customers could truly feel. The end result is a unique page design with creative interactions that make customers want to visit the shop in person, while still pulling in the latest Facebook posts to keep users abreast of upcoming happenings. The last thing to consider when making your single page web design is the future development of the site. A good design agency will plan ahead so that as your business grows and your online needs become greater, that none of the work they create is unusable. Nothing is worse than having to start over on a project because it wasn't built to scale up with your continued growth. From the technologies used, to the design layout, there should be a clear path to follow as more pages are added and site features become more robust. This future proofing means that you will save time and money down the road while still providing a consistent look and feel to users the whole way through your company's maturation. You have a beautiful new website but how long will it last? With the rapid changes on the web over the last few years the lifespan of a website has shortened to 3-5 years, most now would say 3 years before you need to start planning for the new website or rebuilding/redesigning your current website. 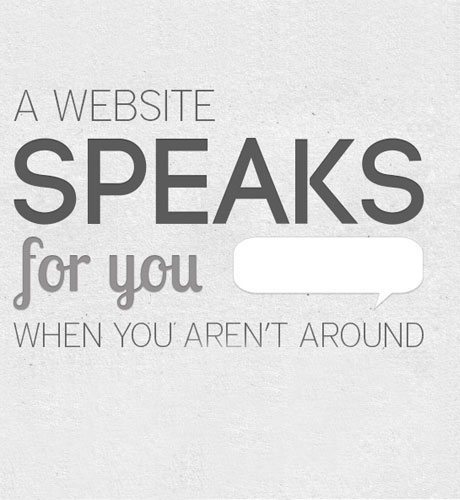 When someone visits your website, chances are they are not viewing it the exact way you imagined they would. If users visit your site and they cannot use it easily (or at all), you may have lost your one and only shot at capturing that client. As mobile web browsing statistics continue to sky rocket the question becomes: "How do I make my website visible to the thousands of different devices out there today?" New Orleans is more and more becoming a major tech hub of the South. Through state tax credit initiatives and a mass migration of tech oriented workers, the city is experiencing a shot of life in an industry that is just now becoming associated with the Gulf Coast. Tech conferences, start-up businesses, design agencies and collaborative workspaces are driving forward in a time of recession to help create a new center of commerce in Louisiana.